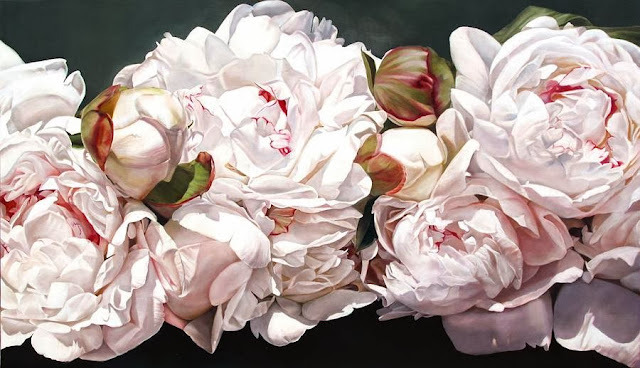 Thomas Darnell's larger-than-life peony oil paintings are breathtakingly realistic and look more like a hi-resolution photograph than a painting. At least in pictures ... oh how I would love to see them in person! Incredible detail, wonderful light and softness are characteristic of each painting. I so admire the vision and confidence it takes to create a painting of this scale! 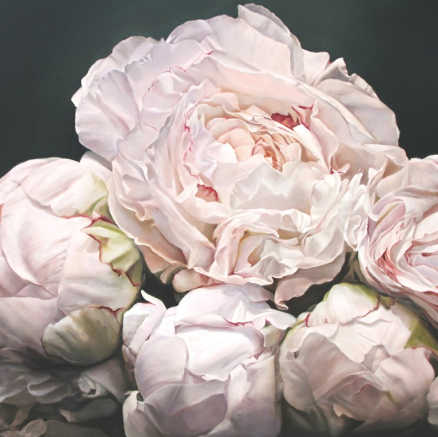 Thomas is an American born artist who now lives in the south of France near the Mediterranean sea, where he is inspired by the quality of light and the landscape. 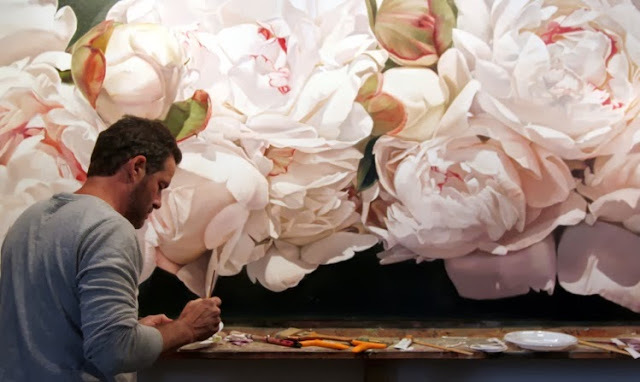 To give you an idea of the size and scale of his work, below is a photo of Thomas painting one of his huge Peony pieces. 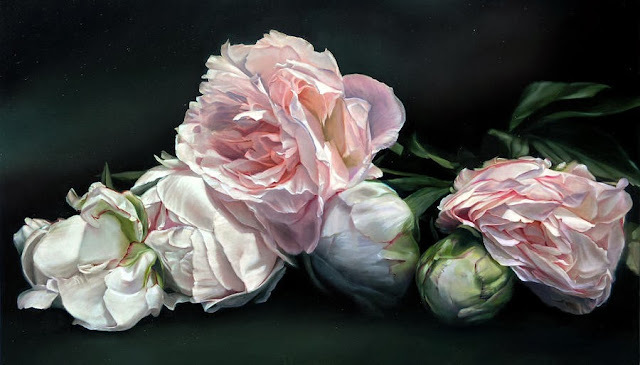 To see more of Thomas's work and learn more about him, be sure to visit his website. I'm sure you'll be glad you did. Thank you for inspiring me today Thomas!